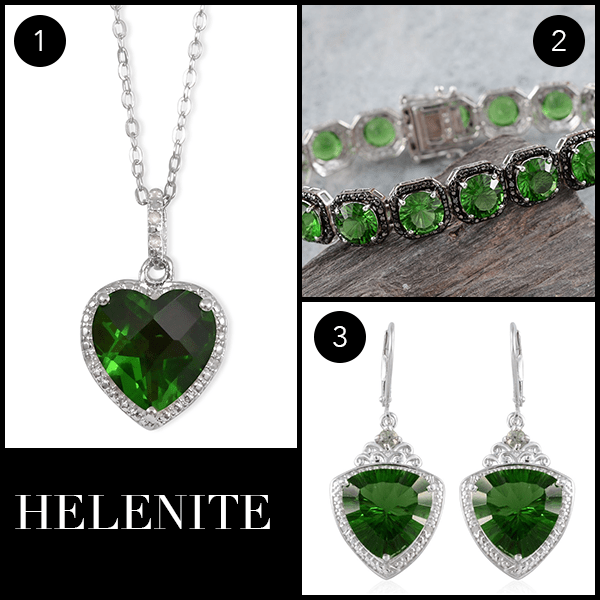 Named after its volcanic origins, Helenite is an exquisite and vibrant man-made gemstone crafted from volcanic ash. During the cleanup after the eruption, workers used acetylene torches to cut through the twisted metal debris. They noticed that the gray ash was melting and transforming into a vibrant deep green color, which was Helenite. Take advantage of our lowest price guarantee this Saturday during our Helenite show from 12 p.m. to 11:59 p.m. CT. For more information on Helenite and other beautiful gemstones, check out our Education Center.